I’m sure he has the funds to do something about it. » I’m sure he has the funds to do something about it. » » I’m sure he has the funds to do something about it. Money is everything in this world. Of course money can save him. He lives in the UK , I am sure he will find out about Intercytex sooner or later. It’s genetic, I don’t think it has anything to do with his diet. hehe i knew it…prince william is always good for a discussion :). 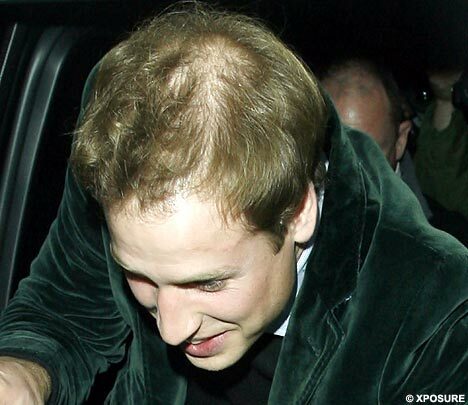 » hehe i knew it…prince william is always good for a discussion :). any more proof needed ?? » any more proof needed ? ?